A better air quality is achieved because Recotherm use fresh air to control the humidity; this means an enhanced sense of freshness and reduced chemical odours. 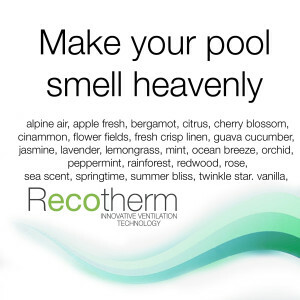 Recotherm units introduce the exact amount of fresh air required to maintain the pool hall conditions. Some units on the marketplace are fitted with so called “intelligent auto fan” which is controlled by a step controller, therefore you get stepped speed increments. It’s a bit like the blower in your car heater being in steps, as opposed to a true climate control system, which is seamless. This is not “real speed control” (RSC), with Recotherm RSC the fan will accelerate from rest to full speed gradually, any speed is achievable, there are no steps. This means that the maximum efficiency and saving can be achieved because the fan is running at the specific speed required not the nearest step controlled speed. Recotherm units are fitted with a fully functioning BEMS (Building Energy Management System) means that it is always operating at its peak performance, sensors on the return air, control the speed of the fans/the fully modulating heating valves and the dampers to ensure that the precise amount of energy is use to maintain the pool hall conditions. 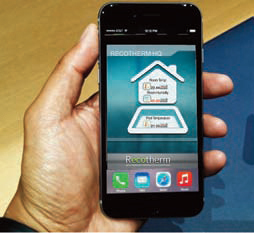 Recotherm do not use on-off heating valves or light/high usage modes like some units on the market. Recotherm units operate seamlessly as the load varies meaning that they are always working at the optimal efficiency, not jumping between light and high usage modes. This capability is vital if you are to benefit from the energy saving potential of fresh air ventilation. This is a distinct point of difference between Recotherm and many other products on the market which are built to a price and compromise control capability which limits running cost savings when installed. Pool cover set back with humidity compensation. Recotherm systems also incorporate a pool cover setback facility as standard. When the pool cover is on, Recotherm units allow the temperature to drop to a pre-determined level whilst continuing to monitor internal conditions. 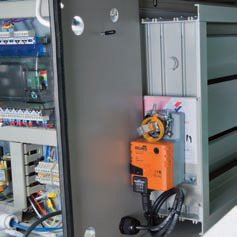 Other units on the market have this facility for temperature control but only the Recotherm units alter the humidity set point in-line with the reduce temperature to allow the unit to work more efficiently. During this period, power consumption is reduced, cutting running costs to an absolute minimum – an increased energy conservation measure that is particularly useful for domestic pool owners, where the pool is probably uncovered for only a few hours a week. A touch screen display gives the end user an easy to use interface to control the functions of the unit, visible fault warning and operational mode indications, together with air temperature and humidity display and adjustment. 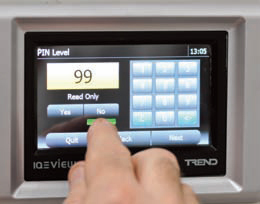 If required the control panel can be fitted remotely for ease of use away from the actual pool room. 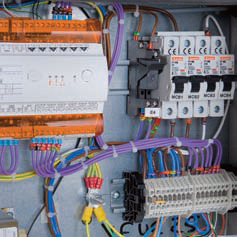 In today’s high-tech world people also expect to be able to control everything from their mobile phone and Recotherm also offer this on our state of the art control system. Want that spa experience each time you enter your pool? 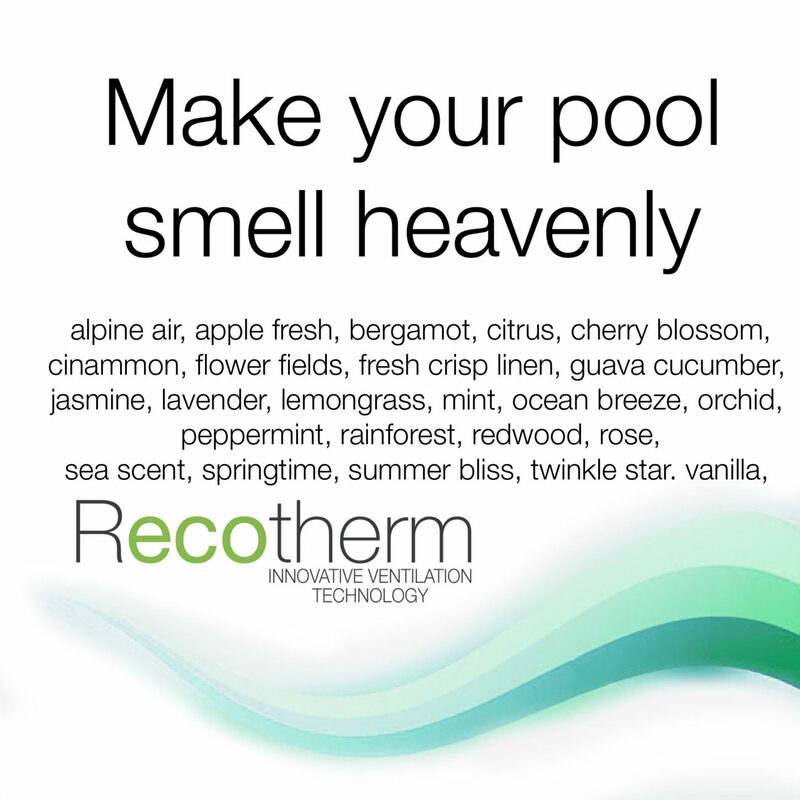 Recotherm are pleased to offer cold air diffusion technology to discretely scent the pool atmosphere as an optional extra on the Aeris range of units. This is a fully automatic scent diffusion solution that uses cold air diffusion to ensure that the quality of each fragrance is maintained throughout the entire diffusion process. Rather than using heat or evaporation to diffuse the scent. Hundreds of different scents are available and each can be set up to operate continually or for just a few hours a day by utilising the build in scent time clock.